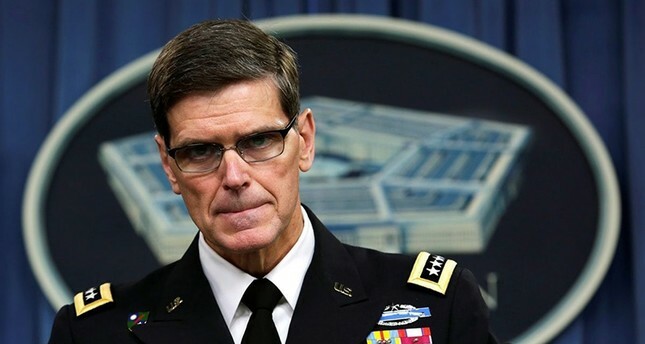 August 7, 2018 (Tony Cartalucci - NEO) - US designs in Syria were made crystal clear by US Army General Joseph Votel - head of US Central Command (CENTCOM) - during a July 19th press briefing. 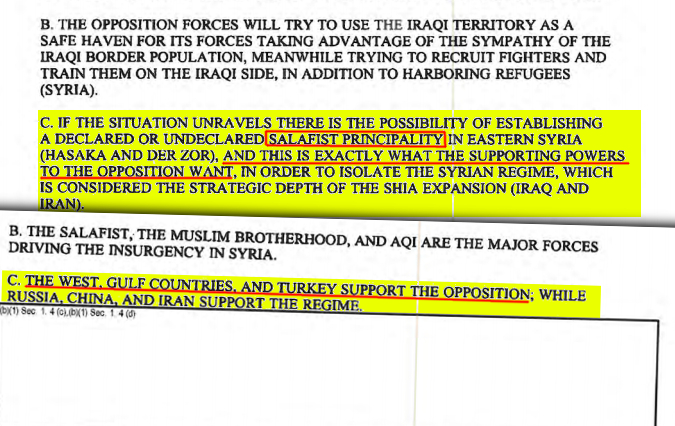 ISIS would take shape precisely in eastern Syria where the DIA memo had said its "Salafist" (Islamic) "principality" (State) would. It would attempt to place pressure on Damascus and isolate it - particularly from Iranian logistical efforts traversing Iraq and entering Syria along the Euphrates River before moving deeper into Syrian territory itself. While the US had invaded and occupied Syria openly since 2014, it wasn't until the Russian Federation's military intervention in 2015 that ISIS supply lines streaming out of NATO-member Turkey were targeted and destroyed. It was then and only then that ISIS positions across the nation began to collapse. It is interesting to note that America's multi-trillion dollar military machine has still failed to eliminate the few remaining pockets of ISIS in eastern Syria. These are pockets that for all intents and purposes are isolated from any of the outside support that allowed the group to flourish for as long as it did. Elsewhere across Syria - government forces with the backing of Russia and Iran have eliminated ISIS almost entirely. Operations ongoing in southern Syria seek to dislodge the final remnants of this terrorist front - coincidentally sustaining itself directly on the border of the Israeli-occupied Golan Heights. Why is the stretched resources of the Syrian military able to mount successful campaigns to eliminate ISIS west of the Eurphrates, but the US is unable to do so in the east? ISIS Continues Attempts to "Isolate Damascus"
The largest pockets of ISIS remain in and around US occupied territory in Syria. It is from these pockets that ISIS militants have launched repeated attacks on Syrian forces along the Euphrates River, particularly near the Syrian-Iraqi border crossing where Iranian support flows into Syria. Iraq's Popular Mobilisation said missiles hit one of its positions on the Iraqi-Syrian border overnight. The paramilitary force is led by Iran-backed Shia Muslim militias and is itself fighting IS. While General Votel - when asked what the US was doing to "stop Iranian expansion into Syria," would claim the US was solely focused on fighting ISIS, it is the US' occupation of eastern Syria that prevents Syrian forces from defeating ISIS there, and allows ISIS militants to attack and undermine Iranian support for the Syrian government. It is also the US occupation of eastern Syria that has provided a perpetual pretext to and foothold from which to strike at Syrian forces and their allies directly as they struggle to keep the Syrian-Iraqi border open. General Votel's claim that the US seeks to work with its "partners" in Syria to "stabilize the situation," ignores the fact that the US occupation of Syria is illegal and that its partners in Syria are neither the recognized representatives of the Syrian people, nor capable of stabilizing the situation. The so-called "Syrian Democratic Forces" (SDF) are a primarily Kurdish front, overstretched and representing a fraction of the population in even the territory they now hold. This has created tensions and even violence in areas the SDF is occupying. Their ability to hold eastern Syria is tenuous at best and any prospect of them expanding beyond its current boundaries is unlikely. Their current position politically and militarily is entirely dependent on the US which itself is occupying a tenuous position in eastern Syria based on an equally tenuous pretext. Regime change in Syria has failed. The notion of balkanizing Syria would simply create a net burden on the US and its allies - clinging to territory through direct military occupation and through unpopular and/or indefensible proxies. Time, for now, is on Damascus' side. With this the case, and with the entire US-led proxy war on Syria launched as merely a stepping stone toward the further encirclement, subversion, and eventual overthrow of the Iranian government in the first place, the US is racing against the clock to shift the diminishing conflict in Syria to Iran. The Trump administration has launched an offensive of speeches and online communications meant to foment unrest and help pressure Iran to end its nuclear programme and its support of militant groups, U.S. officials familiar with the matter said. US forces occupying nations along Iran's periphery will be a key component to both supporting covert proxy violence inside Iran, and any direct military operations launched against Iran. US troops are currently in Syria, Iraq, and Afghanistan. US forces are also stationed in the Persian Gulf. The stage has been set - but attempts to light Syria on fire and have it blow into Iran has failed. The US will need a new pretext to both maintain its increasingly tenuous positions across the Middle East and Central Asia, and to further provoke and subvert Iran. As the "ISIS" pretext begins to beg belief, attempts to cite an Iranian threat or provocation on equal or greater footing than the diminished threat of ISIS is ongoing. Thus, while Syria may see the light at the end of the proverbial tunnel - with war-ravaged regions finally restored to stability and reconstruction beginning, the greater war the Syrian conflict was a part of is still being pursued by the US and its allies. A dangerous period of fending off attempts by the US to rekindle the Syrian conflict in neighboring Iran and on a much larger scale has begun. It will require political, economic, and military measures from those involved in aiding Damascus, as well as allies and trade partners of Iran. It should also be remembered that militant groups in Syria have not been entirely defeated. In northern Syria, most of the terrorists and their supporters have been consolidating their and could be used to plunge Syria back into war - especially if progress is made by the US in isolating Syria from Iranian support. The US is behind schedule, exposed, and becoming increasingly desperate. 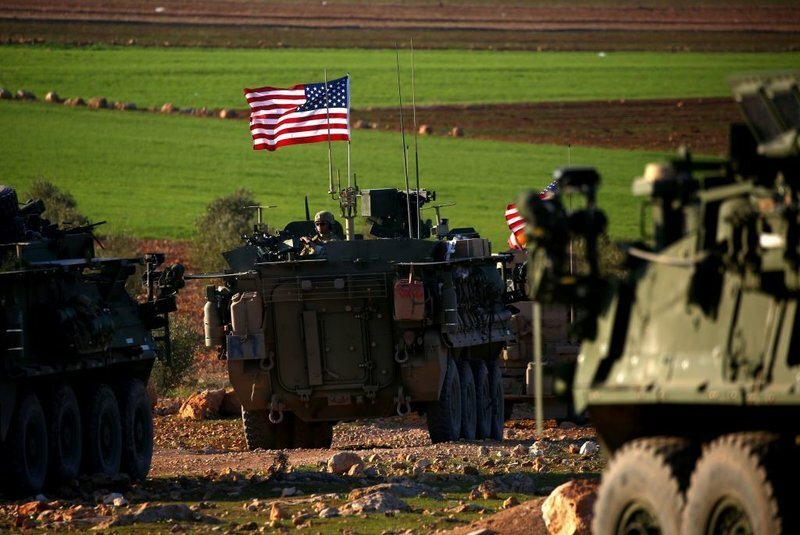 But the threat the US constitutes should not be underestimated, nor should those overseeing Syria's successful defense of its territory become overconfident.